Expeditor trucking is a unique branch of freight hauling that deals with time-sensitive, emergency and other rushed orders. Rushed jobs can strike at any time, and it’s important to be prepared. Opportunities for you to grow your business rely on your ability to make important deliveries quickly and efficiently. As a business owner, you have the option to enter into a contract with expeditor trucking companies, in addition to their main distributors, in order to adequately handle any rushed delivery jobs that may arise. Cargo van: This is a small van that can be used to ferry anything from frozen groceries to small animals. Sprinter van: This vehicle can carry three pallets of cargo such as pharmaceuticals – or really any other items that require the use of a quick, reliable and manoeuvrable van. Straight truck: This vehicle features a 96-inch sleeper unit to keep your crew moving when delivering less-than-truck-loads (LTLs) that are too bulky, too heavy, or too oddly shaped to fit in a sprinter van. Who needs expeditor truck services? Anyone who handles time sensitive deliveries and needs a guarantee that their goods are going to arrive fast and on time can lease or loan an expeditor truck to ensure that their cargo is exactly that: Expedited. The size of the shipment does not matter as there are different vehicles to choose from, so you can ship anything from a box of letters to a couple of pallets to a full truckload. So, anyone with a shipment that needs extremely urgent delivery can use expedited freight services for any distance; whether it is across town or across the country. The logistics that you have planned out are going to play an incredibly important role in ensuring that your shipping process, from end to end, is profitable and allows for quick pick up and delivery that is not costing you money. Logistics play a vital role in ensuring an efficient and effective shipping process. Owing to the sensitivity of the package or cargo, the person shipping the items is given a means to track their shipment at any time using electronic tracking, driver check calls and other means. Time: The cargo is time-sensitive, so each load must be accompanied by a two-person team for strategic overlap. Load: The load must be matched with the most appropriate truck for maximum efficiency. Overhead: Different parameters must be taken into account, including fuel costs, credentials, carrier costs and insurance. Does expeditor trucking require special equipment? With expedited trucking, the two key elements are time and safety. So, trucks for expeditor services are usually fitted with tracking devices and a nap area in the cab for smooth overlap between drivers. Do you require a special license to operate an expeditor truck? It is a legal requirement that all vehicles with a gross vehicle weight rating (GVWR) of 10,000 and 26,000 pounds be driven by an operator possessing a commercial driver’s license, CDL A or CDL B, respectively. 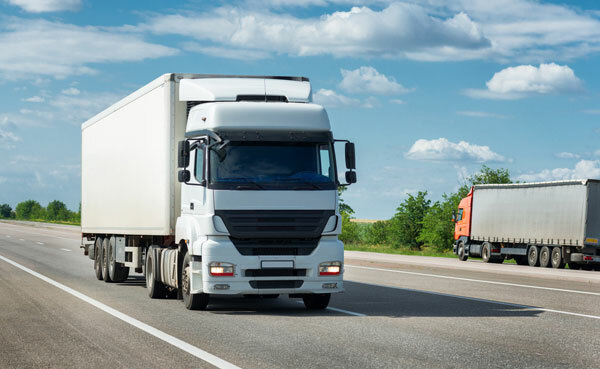 Depending on what type of truck is being used for the expedited shipping service, the operator will be compelled to have on them at all times the appropriate driving license(s) which indicates that they are considered competent to drive the truck in question. Can expeditor trucks be leased or rented? Due to the unique nature of expedited trucking, and the associated costs, purchasing and securing truck loans and truck leasing for these types of vehicles can be costly and often prohibitive. Even if you have the truck, it might not always be accessible when an emergency delivery situation needs addressing. For this reason, it is quite easy to rent an expeditor truck if ever there is an emergency situation that requires time sensitive delivery. Contact us today to learn more about our expeditor truck loans and leasing options.